I have owned this Mountain Hardwear Ghost Whisperer down sweater (jacket) for over two years now and can’t say enough about it. It goes with me high into the alpine in summer and winter. At just over 7 ounces there is no reason for me to leave it at home. It’s like wearing warm air! I’ve been using my Ghost Whisperer as a pillow on overnight backcountry trips by placing git in a small stuff sack. In this short highlight video I go over features and show you how this jacket easily stows into it’s own pocket. The video was shot at the Scott Duncan backcountry hut during our 5 day the wapta icefeield ski traverse last year. 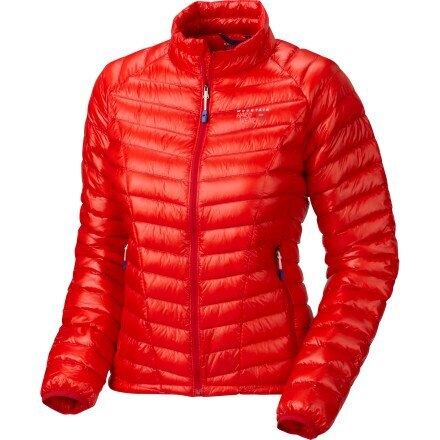 If you are looking at a super light weight down jacket this one might be for you. Mike is an all around outdoors guy who spends his free time in the backcountry, skiing, mountaineering, rock climbing, biking, canoeing, camping, hiking. To pay for all the hobbies he develops and runs websites.